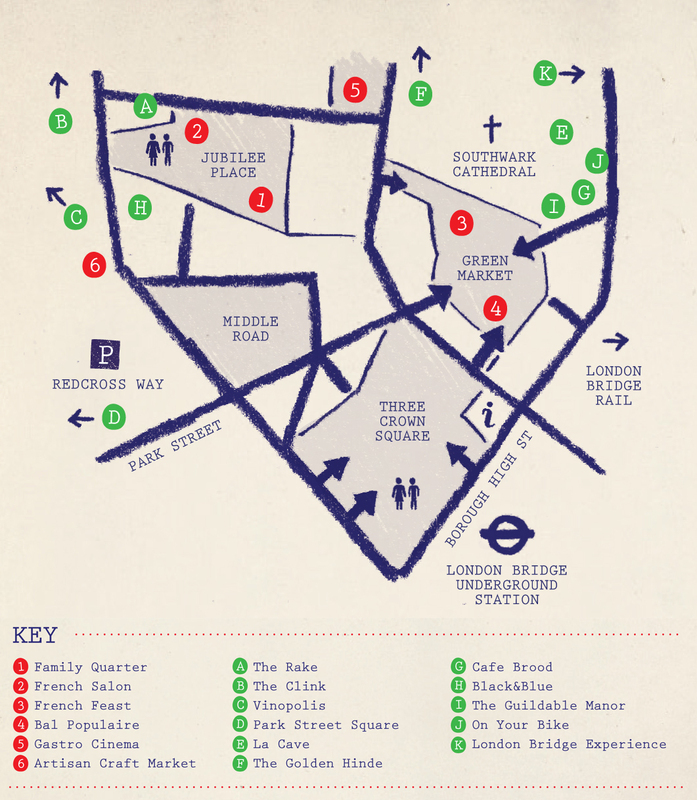 Bastille Day is on Sunday 14th July, and for the 6th year running various businesses around Bankside and Borough Market are holding a festival. There are lots of things going on, including tastings, food events, a waiters' race, and things for kids to do. Borough Market isn't usually open on a Sunday, so take full advantage this year! "Afternoon: French feast in Borough Market, family fun in Jubilee Place, a French craft fair in Vinopolis Piazza, cultural tours through Bankside. All day: Promenading entertainers. French culinary classics and international cuisine at restaurants and cafés, discounted entry to local attractions. 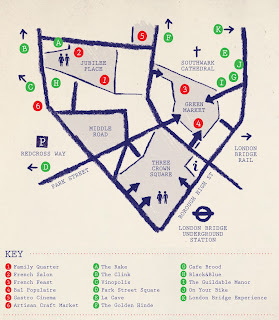 Evening: Party in Borough Market: food and drink bars and stalls, theatrical performances, live music, DJs and much more."